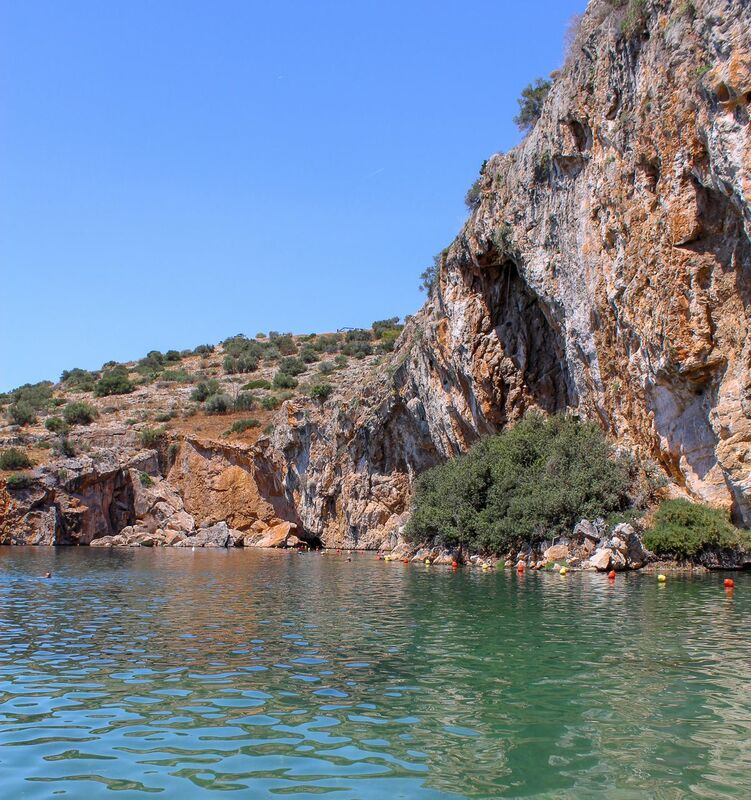 Possibly my favorite place to go in Athens is Lake Vouliagmeni. 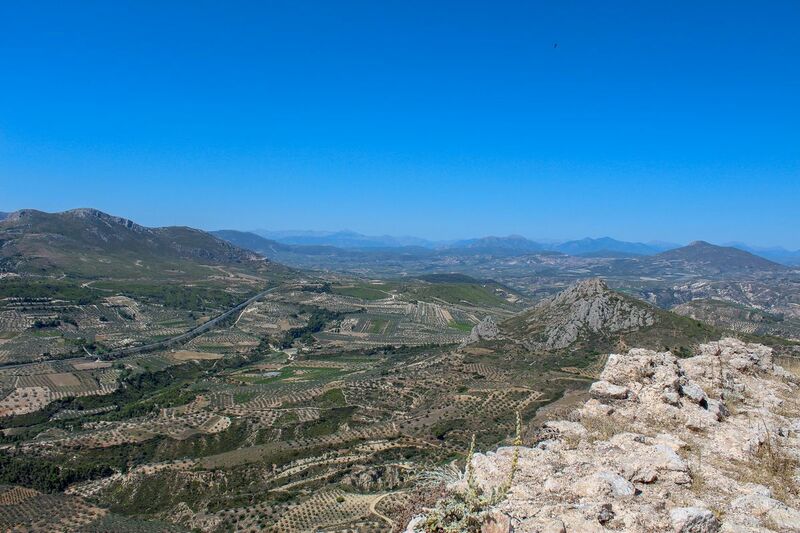 It’s a 30-minute drive from the Acropolis Museum and a 10-minute drive from Glyfada but completely worth it. 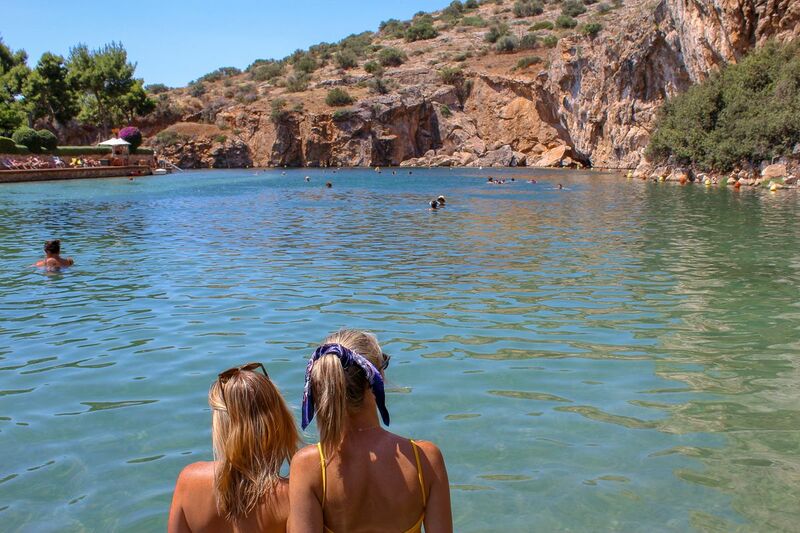 Vouliagmeni is a mineral spa full of such minerals as potassium, lithium, ammonium, calcium, ferrum, chloride, and iodine, which are known for relieving ailments such as eczema and dermatological diseases, neuralgia, headaches, disfiguring arthritis, chronic gynecological diseases, lumbago, sciatica, and bone and muscle problems. Additionally, there are doctor fish in the lake, the same kind of fish that nibble at your toes for pedicures. The lake also has a restaurant/bar and plenty of lounge chairs with umbrellas perfect for a lazy day in the sun (or the shade). 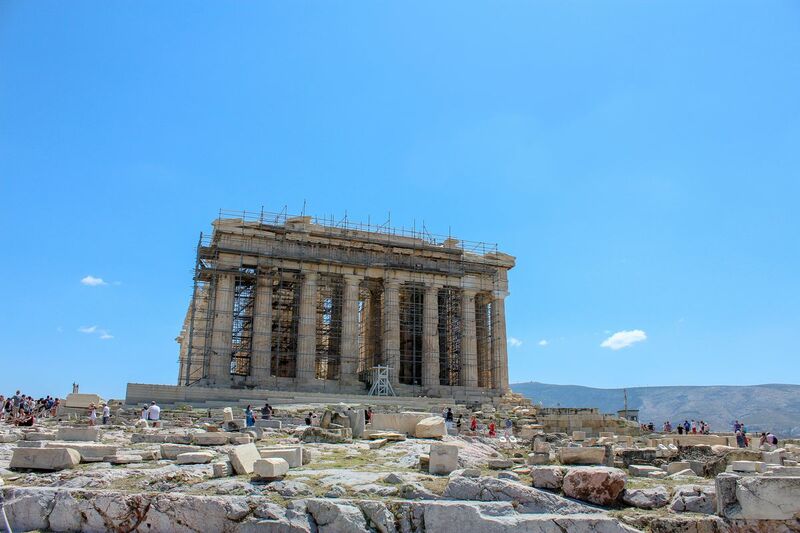 Naturally, when in Athens, going to the Parthenon is towards the top of the list. 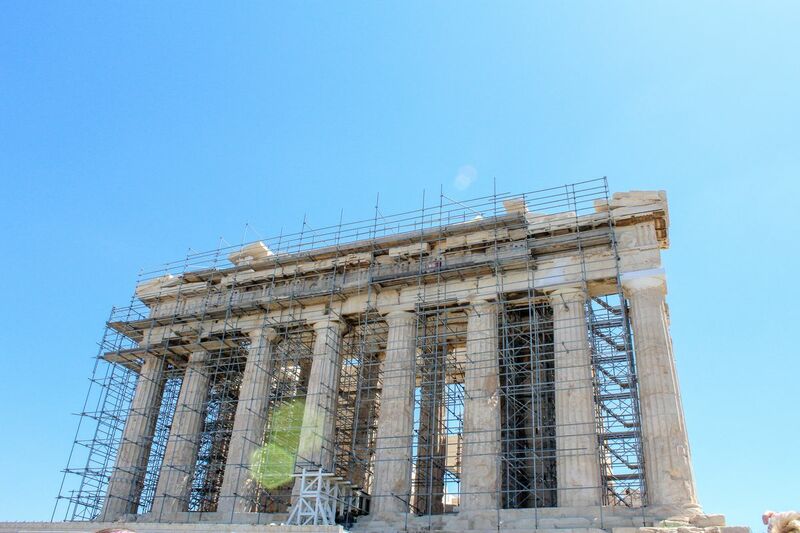 At the base of the Acropolis is an incredible museum which houses and restores archeological findings from the Acropolis and surrounding areas. 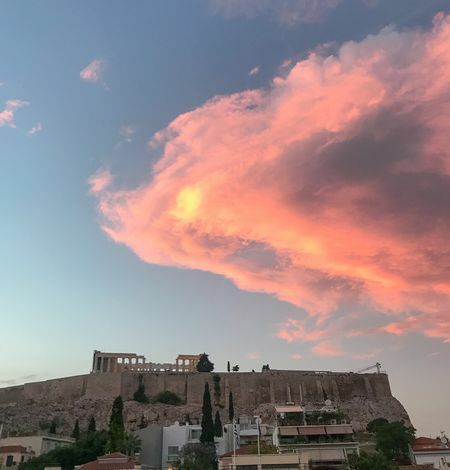 If you don't have the time or patience to hike up to the Parthenon and deal with hoards of people (it can get extremely crowded), the museum is the perfect substitute. The Monastiraki market is a great place to walk around, do some shopping, and grab a bite to eat if you are in the area. 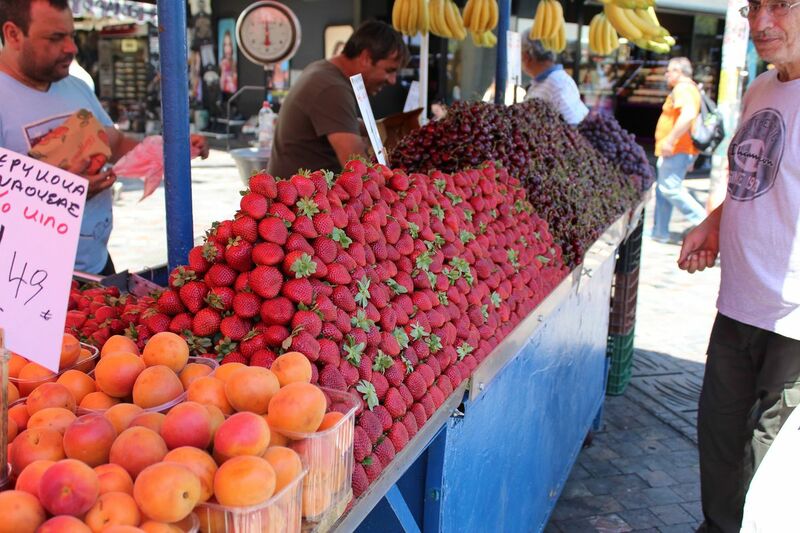 There is a great fruit stand in the main square and the restaurant, Diogenes, is a few blocks over in Plaka. 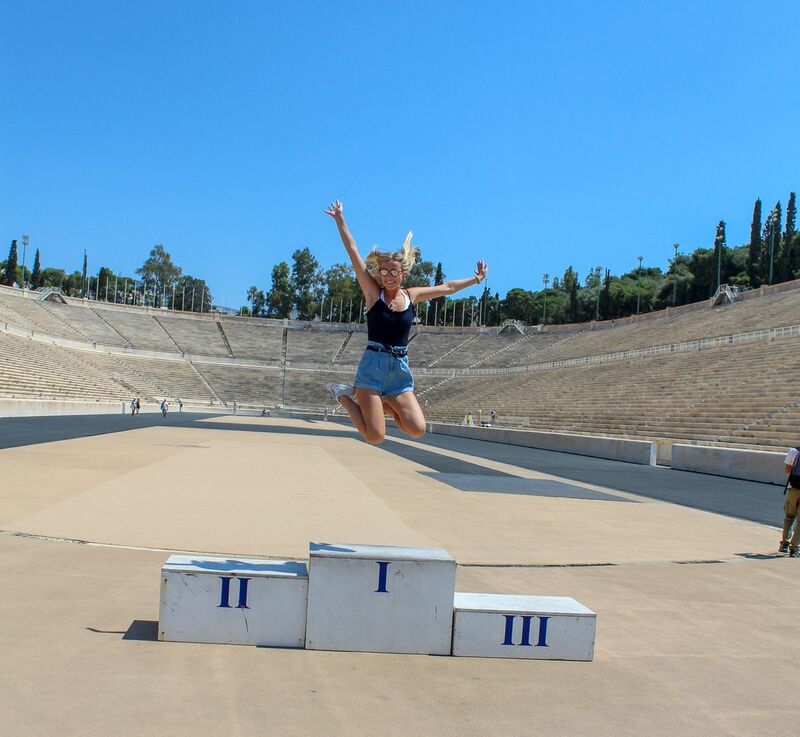 The Panathenaic stadium is a 10 minute walk from the Acropolis. It’s a 5 Euro entry fee, and definitely worth a quick look around. The stadium is built entirely out of marble and houses all the torches from past Olympic games along with other historic items. 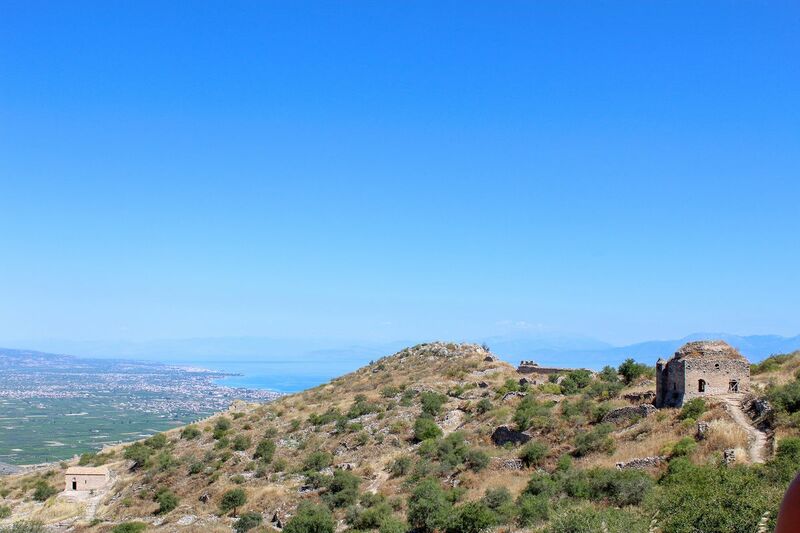 On a free day, we all drove out to Corinth to see the canal, bungee jump, and hike Acrocorinth. The water in the canal was unrealistically blue. It was truly mesmerizing. 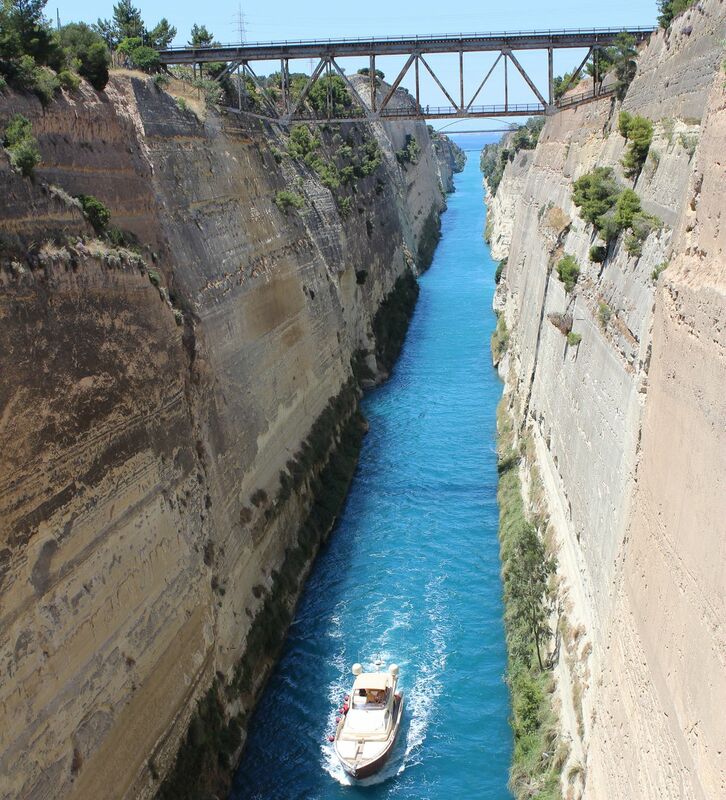 The canal is also where we bungee jumped with ZULU Bungy, which I highly recommend. 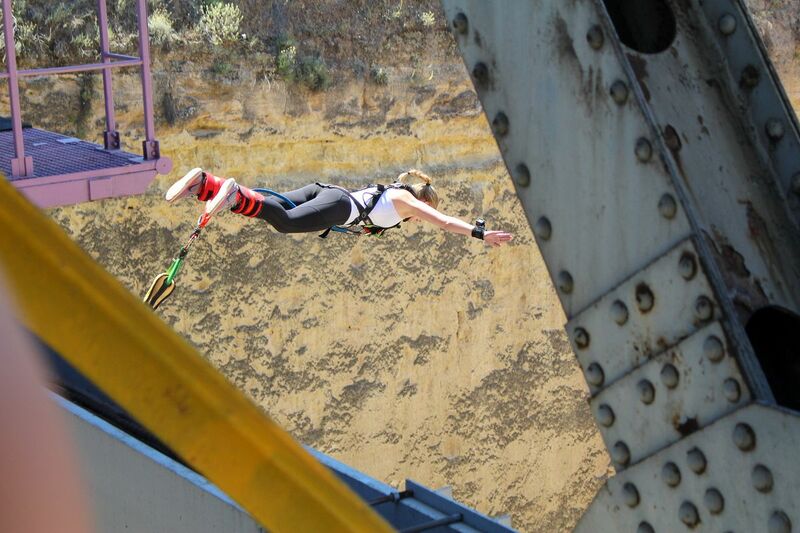 My mom has always said I have no fear, especially when it comes to leading my friends to jump off a bridge with me. However, if you do happen to be a bit scared of heights, the drop was not too high and the views were incredible, plus it is over before you know it (you might even want to go again). HIGHLY RECOMMEND. 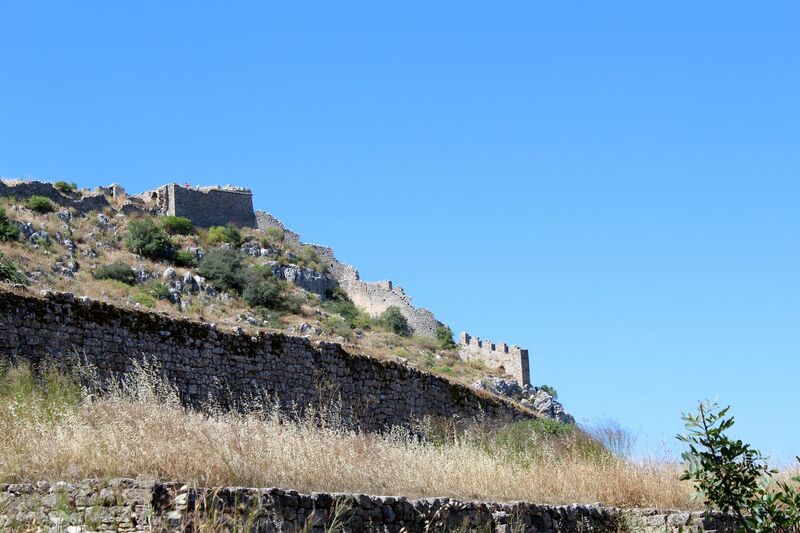 Then we took a short drive over to Acrocorinth where a medieval castle sits atop the monolith. 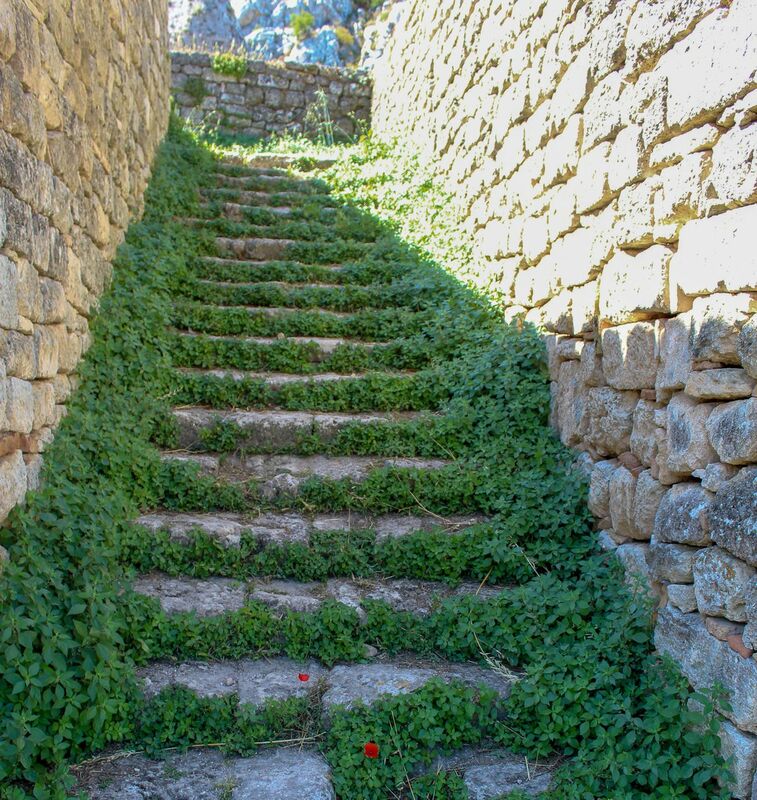 At the base of the monolith are temples from the Hellenistic period. This was one of my favorite historical sites because of the diverse architecture and history surrounding the area. Everything here is great! The Nutella pizza is a must and they have an amazing Brunch. 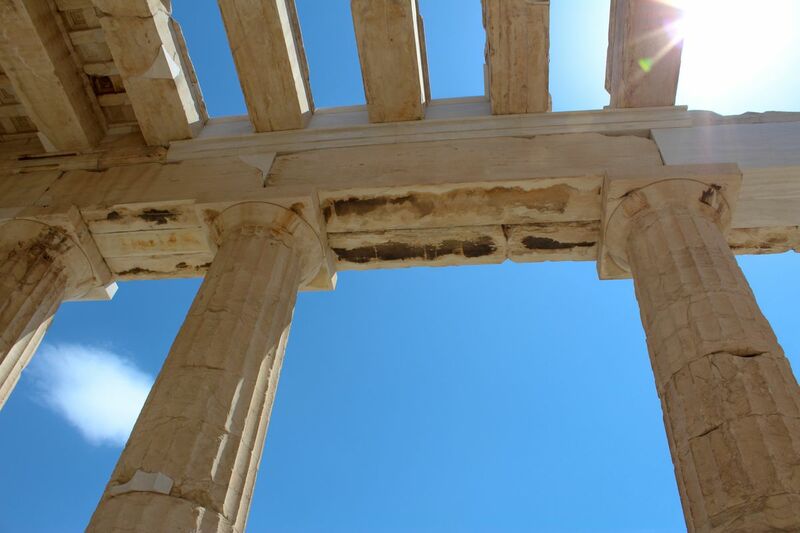 After exploring Athens, it's on to the beautiful island of Santorini!